﻿ Michèle Souhaid : "Passion and Professionalism of the al Mandaloun family "
Strongly present on the Lebanese market for nearly forty years, the Group of restaurants al Mandaloun innovates again and again by its concepts. The latest to date, al Mandaloun pastry, adjacent to Mandaloun Coffee Dbayé. 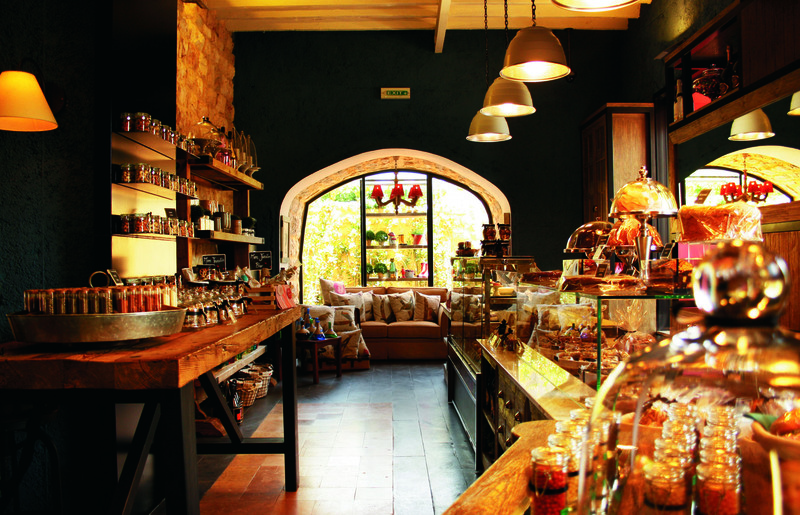 A new concept in the Middle East and a unique setting in the vaults of the old house invite you to discover and enjoy specialties unique to this gastronomic place. Michele Souhaid specialist in the art of the table and associate director of al Mandaloun Coffee and Pastry, unveils to Prestige the recipe of success of the Group. Who is Michele Souhaid and who is al Mandaloun group? Al Mandaloun is a group of restaurants that has been present for 36 years in the Lebanese market. Always innovative by its concepts: Al Mandaloun Sur Mer, al Mandaloun Club, al Mandaloun Coffee Dbayé and Achrafieh, and the latest al Mandaloun pastry. Michele Salhab Souhaid is a specialist in the art of the table and associate director of al Mandaloun Coffee and Pastry. How did you join the group? As a specialist in the art of the table, I joined the group in all that relates to decor, to the renewal of the menu, tasting, packaging, etc. Michele Souhaid, Associate Director of Al Mandaloun Café and Pastry. Can you give us an idea about al Mandaloun pastry? Al Mandaloun pastry is a new concept in the Middle East. It includes a pastry area, a shop, a bakery, accessories related to table art, all in a unique setting under the arches of the old Lebanese house. How do you choose the chefs? We select the chefs based on their experience, talents and tastes befitting the culture and refinement of al Mandaloun. What are the specialties you offer and that contribute to the fame of the place? Our specialties range from a large selection of gluten-free products, breads and pastries, cakes, dry kilns, alcohol, big cakes fitted for a wedding or anniversary, and accessories that we can’t find anywhere else. Are your specialties only European? They are European but sometimes with a touch of fusion between East and West. What distinguishes al Mandaloun from other groups of restaurants? The group is distinguished by its professionalism, its experience in this field and its originality of creative concepts. 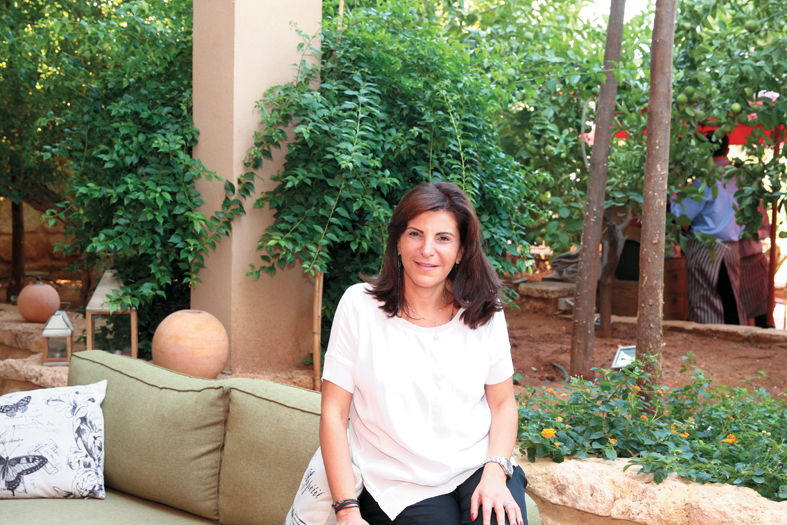 What is the secret to the success of al Mandaloun at a time when other establishments close? The group’s success is linked to the passion and professionalism of the entire family of Al Mandaloun. Have you considered the Delivery formula or Catering? The Delivery formula is always an option, while the catering formula is already there to create the most delicious dessert buffets. What, in your opinion, are the criteria of quality of a pastry? Use a good product with a good snap. Who is part of your clientele? It is especially the clientele of al Mandaloun Café which is a mixture of all generations. Do you have any expansion plans to attract more clientele? The surprise would be of some importance. Address: next to the al Mandaloun Café, Dbayé road.